Current sculpture work is unmonumental small scale – works that could fit in your hand and many are made to be held and handled. 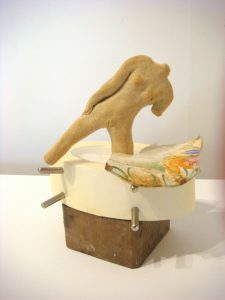 Stoneware clay is molded and scaled to a domestic found object creating a dialogue between subject and object. The figures are often partial or fragmented and perform archetypical gestures. 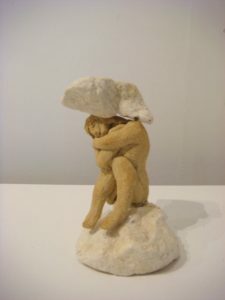 Initially I thought of these works as Object Relation – telling stories about bodies and women’s lives but I have come to think of them as more than telling stories, They perform and coalesce form and meaning in Small Promethean Acts. 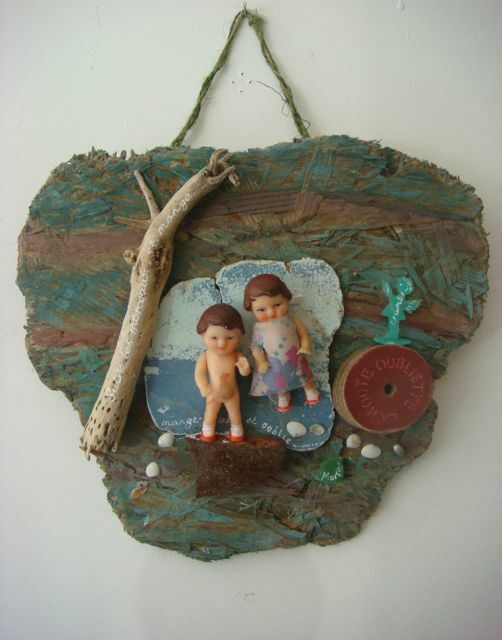 Other small scale assemblage projects like Objets-textes combine small found objects with writing and poetry. They propose that we ‘think through things’, exploring our relationship with our physical world and the way in which words are performed on the 3-dimensional plane. Installations of over 100 pieces have been shown around the country.